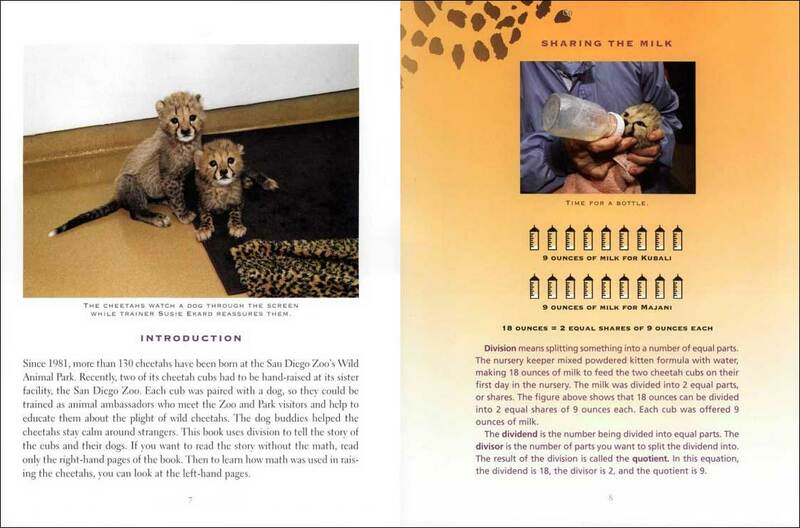 Cheetah Math tells the story of two cheetah cubs named Majani and Kubali who have just arrived at the zoo and need lots of care and attention from the staff, who use division to make decisions about their care. Soon, the two cheetah cubs are thriving and act as 'animal ambassadors', helping teach zoo visitors about the plight of cheetahs around the world. 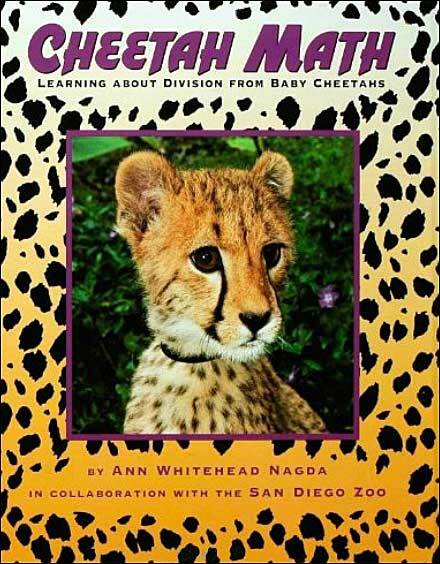 Great for teaching division and cheetah development. 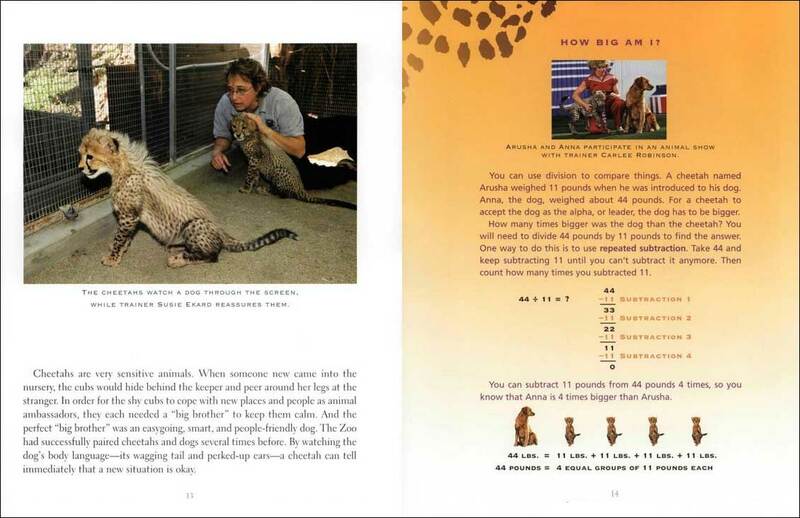 This is one of our favorite middle-grades books for teaching division, as it provides an engaging, real world application (plus the cheetahs are adorable!) The text and division are a bit complex (and the text can get lengthy), so this is definitely a book to use once your kids have a general understanding of division.